Did you know that losing one tooth puts you at risk for losing more? Once you lose one tooth, nearby teeth start to tilt toward the open space. Fortunately, we offer affordable dentures at competitive prices so patients can fill in gaps left by missing teeth. Dentures are removable false teeth that help you eat and smile with confidence after tooth loss. Full dentures replace all the teeth in your mouth, while partial dentures replace only a few teeth. If the majority of your teeth have cavities or other oral health issues, you may want to consider full dentures. Our emergency dentist can help you explore your tooth replacement options to find what’s best for your smile. We’ll make sure your dentures look natural and fit comfortably! Before you leave, we’ll make sure you know proper denture care so your false teeth will last for years to come. When you aren’t wearing your denture teeth, submerge them in water or cleanser to avoid cracking and warping. You’ll also need to clean your dentures daily to prevent plaque buildup and odor. Dentures will occasionally slip when you sneeze, cough, laugh, or make other sudden movements. If you notice your dentures slipping more than usual, schedule an appointment with us as soon as possible for denture repair. We’ll make sure your dentures look natural and fit comfortably. 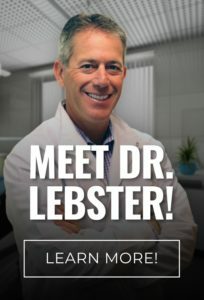 Dr. Lebster DDS and his team are dedicated to helping you restore your smile after tooth loss. To schedule your appointment with our Holland dentist, call RediDental Emergency Dental Care at (616) 796-3200.